This might be hard to believe - but I am not a weeb. I don't watch anime and I don't think Japan is the greatest country to have ever existed on the planet. There are lots of problems here. Big ones too. But I like it just fine as a place to live and work. It's a nice place with lots of good food and people. With that disclaimer out of the way, I'm going to necessarily weeb out a little bit in this continuing look at Tsukuda Hobby's wargaming output in the 1980s. As I mentioned in my look at Star Trek II: The Wrath of Khan, Tsukuda had started off producing wargames in 1981 with their science fiction line then soon branched out into historical wargames and then beginner level games aimed at casual players. Fortress is the second game ever released by Tsukuda Hobby. 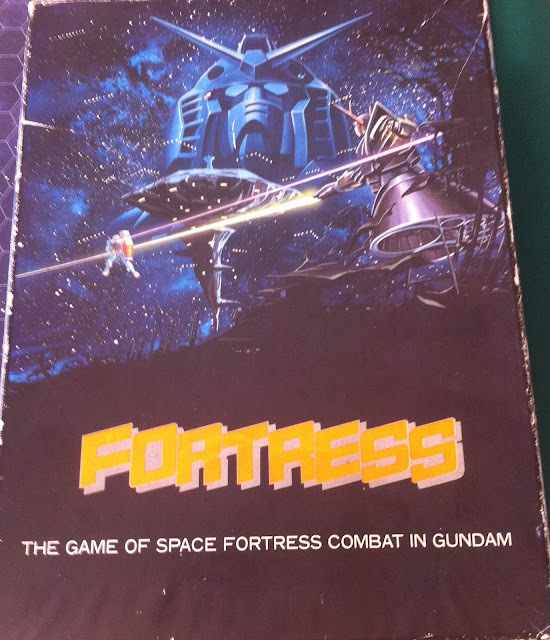 Designed by Atsutoshi Okada, the game is based on several key battles that take place in the original Mobile Suit: Gundam animation series that came out in 1979.